The ears, eyes, and nose should be clear of discharge and crustiness. Eyes bright and clear with no signs of cloudiness, swelling or redness, the pupils should both be the same size. The ears should have no odour or excessive waxy buildup. The gums should be pink, with no signs of redness along the gum line. The breath should be fresh, with no unpleasant odour. Teeth are white and clean, look for signs of tartar or missing teeth. It should be noted that kittens lose their baby teeth from 3-4 months of age. The tongue is a light pink colour, and should have no signs of lumps, bumps or ulceration. 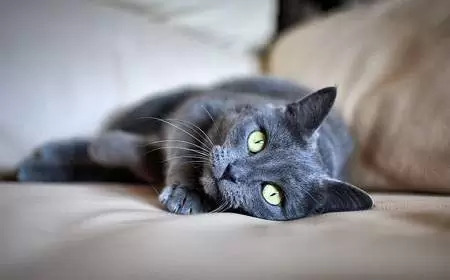 There should be no signs of stiffness when your cat walks, when sitting, he should do so with all four paws on the ground (we had a cat with arthritis who would always keep one paw off the ground). Paw pads should be supple and leathery with no signs of cracking or swelling. Claws should look healthy and not be curling up into your cat’s paw pads. His breathing should be relaxed and easy with no sniffling, wheezing or panting. The coat should be plush and clean with no signs of parasites or fungal infections. The skin should be supple with no lumps, bumps, crustiness or scabs. Feel along the sides of the cats, his ribs should be just noticeable. If you can easily feel the ribs, he is underweight, if you can’t feel the ribs at all, he is overweight. A pot-bellied appearance in a cat is a sign he may have worms, or she is pregnant. He should look happy and relaxed. Signs of sickness in cats include hiding, hunching over, disinterest in surroundings. Does he appear bright and alert, interact well with littermates and people around him? Is he grooming himself regularly? A sick cat will often sleep more, and pay less attention to grooming habits. He should have a healthy appetite and react when you feed him, but he should not be pestering you for food constantly. Most cats aren’t big drinkers, but you may catch them at their water bowl having a drink. If you notice either an increase or decrease in water or food consumption, take him to a veterinarian. Cats typically pass around two feces a day, it should be firm, but not dry, definitely not watery or bloody. 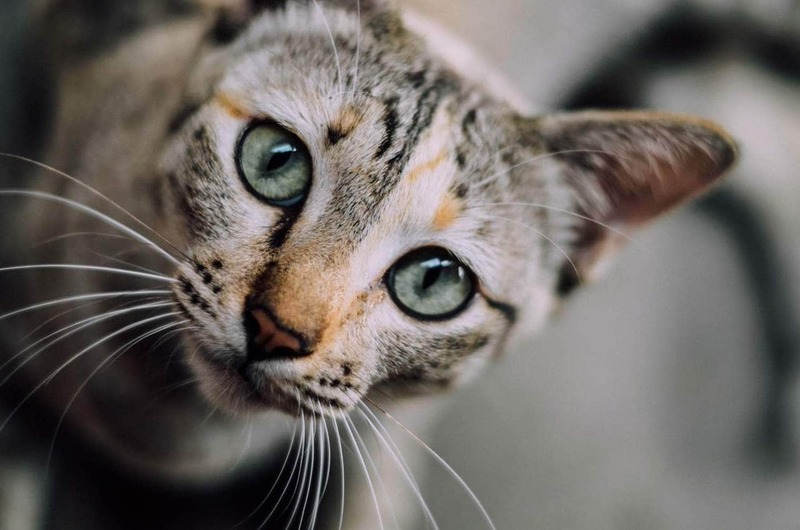 The urine should have no traces of blood, if you notice your cat going to the toilet more than normal, or crying in the litter tray, he should see a veterinarian as he may have a urinary disorder, diabetes, kidney disease or constipation. No feces smells pleasant, but if it is permeating through all the rooms of the house, it’s not normal. While there is a little odour when they have a bowel movement, it shouldn’t be excessively smelly that you have to open the windows and doors. These are guidelines only, you can expect some changes in the older cat. Arthritis is very common, making the joints stiff, they will lose their kitten playfulness and sleep more. This guide is more aimed towards people looking to adopt a new kitten and what to look for. But can also be used as a guide to determine if your cat is in good health. As usual, it is always a good idea to check with your veterinarian if you have any health concerns. Previous articleWhy Is My Cat Always Hungry?